The first time Art Spin threw an exhibition inside the old Viceroy Rubber factory on Dupont Street, the building was in the process of becoming a self-storage facility. It was 2010, and curators Rui Pimienta and Layne Hinton (then, also with sister Casey Hinton) presented the work of 20 or so artists in the vacant 10,000-square-foot warehouse. 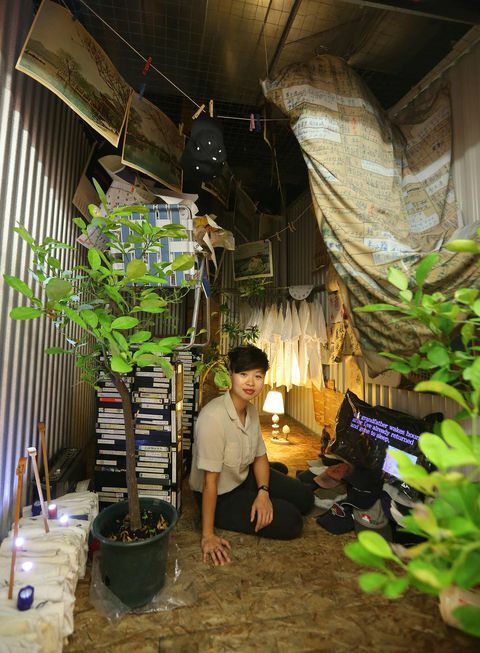 In its tenth year of programming, the organization, dedicated to activating underused spaces with site-specific art shows, has returned to the same Junction-area factory. Today, lockers are being prepared for removal; its floor plans have been redrawn to accommodate commercial offices and studios. The building — or at least part of it — is now in the process of un-becoming a storage facility. And this presents a rare opportunity for Art Spin to revisit a space before it transforms a second time. Holding Patterns, a free exhibition running through Oct. 21, includes the work of 20 artists and artist teams installed in storage units across three floors of the facility. The title refers to the plight of the local creative community, like many urban populations, driven by market forces in search of affordable rent and real estate. 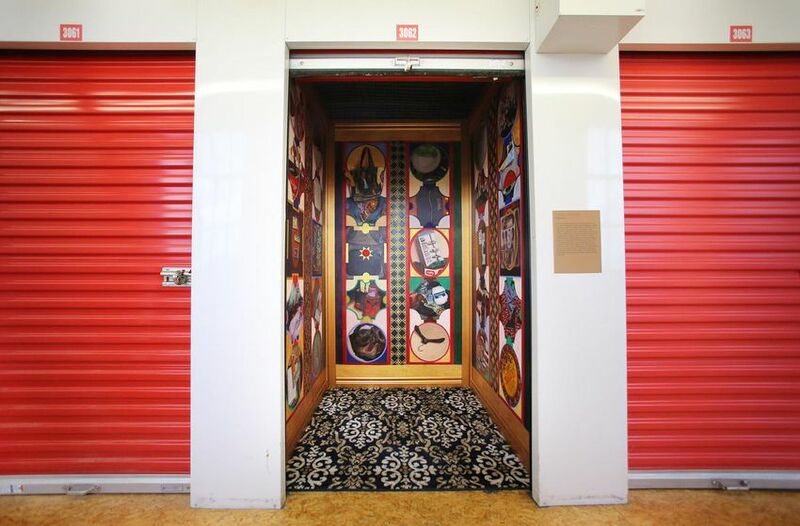 Hinton and Pimienta asked artists to respond to the storage locker, whether as provisional spaces, repositories for trash and treasure, or emblems of transition. Instead of fleeing the core for suitable venues, Art Spin has decided to chart a different course, activating not 10,000 square feet this time round, but one three-by-five-foot space (good for golf clubs, luggage and skis, according to the Planet Storage website) after another. “I’d rather see us adapt creatively,” Hinton says, “and find ways of surviving in areas that we’re interested in, rather than just being pushed out and giving up.” The holding pattern perhaps can be disrupted. Jess Lincoln, Detritus Salon Toronto-based artist Jess Lincoln paints the contents of her housemates’ shared storage closet — an extra shower caddy, a souvenir Obama tote bag, and the branches of an artificial Christmas tree, for example — like the masterworks of a Beaux-Arts Salon exhibition, trimmed even with gold woodwork and carpet patterned in something like acanthus leaves. It is a preposterous tribute to the items we each hold onto for who knows why. It makes absurd our private hoarding habits. 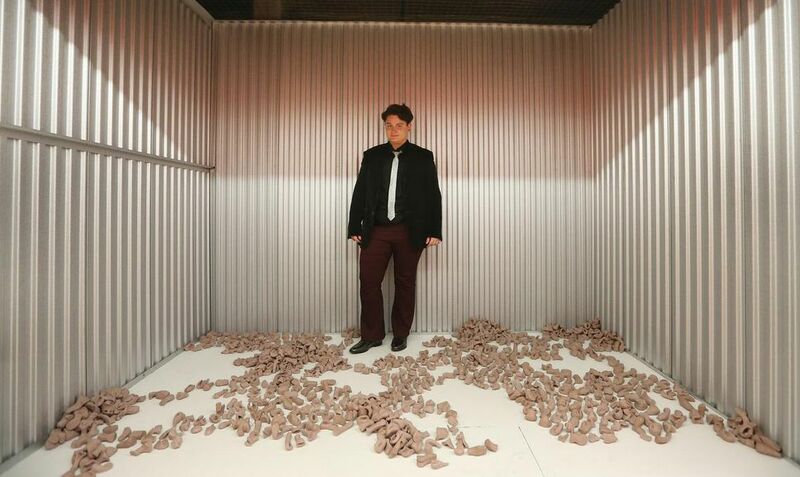 Roula Partheniou’s artist statement begins with the lyrics of a Tom Waits song, “What’s he building in there? 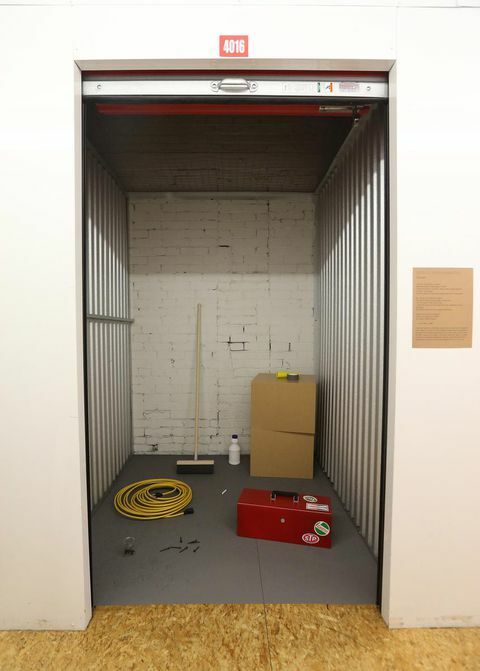 What the hell is he building in there?” Behind the locker door, visitors encounter an unremarkable scene as far as storage closets go: a coiled extension cord, a toolbox, some generic cleaning product, a jar of nails spilled on the floor, boxes stacked in one corner and a broom resting against the wall. Something isn’t quite right though. All of the items are, in fact, hi-fi knockoffs manufactured in MDF, copper and paint. Partheniou’s work regularly investigates how we read objects in relation to one another. The collection she’s littered here make the beginnings of a good mystery story. What the hell is he building in there? 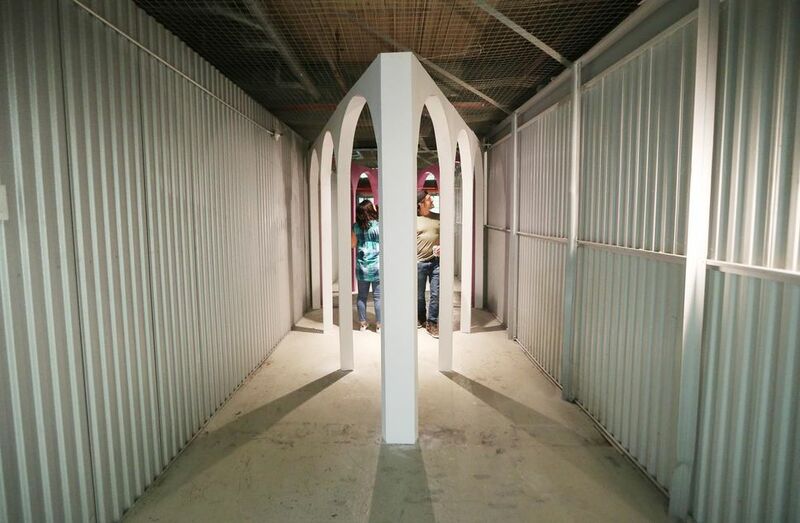 PALACIT Design Studio, Agoraporia In mirrors and repeating archways, partners Tristram Lansdowne and Tom Ngo of PALACIT have built an illusion: the agora, or the ancient Greek town square, restored inside a tiny locker. While the storage facility is generic, the town square is a landmark. While the locker is private, the agora is public. The work — like Art Spin’s exhibition — invites community where it doesn’t commonly gather.